Clean teeth, healthy gums and fresh breath are the three signs of a positive oral health care routine, and we want to help you maintain your dental hygiene at home and through our assistance. At Broseley Dental Practice your oral hygiene is our main priority and we are committed to making sure that you enjoy a good standard or dental health. Your teeth and gums are essential to your overall health, appearance and confidence. So, it is important to maintain a positive daily care routine. This includes brushing twice every day, flossing at least once a day, using dentist-recommended products and visiting our practice for regular check-ups. At every examination appointment, we will check each individual tooth and record any changes. This is important so that we can keep an eye on teeth that may be showing the first signs of decay or appear weakened. At Broseley Dental Practice, our experienced hygienists will clean your teeth and gums thoroughly when you visit. These appointments are vital to sustain the health of your teeth and gums and remove the build-up of plaque, avoiding the development of gum disease. 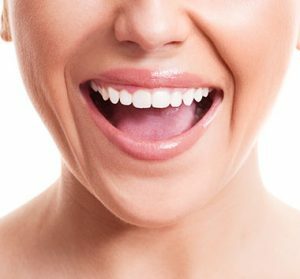 The hygienists are also trained to spot any problems with your teeth and can arrange an appointment with one of our dentists if you require further attention. Ask our hygienist for advice on how to care for your teeth properly at home and what oral care products to buy. They can also support you to improve your diet and provide smoking cessation advice. Please click here or call 01952 883196 to book your hygienist appointment.